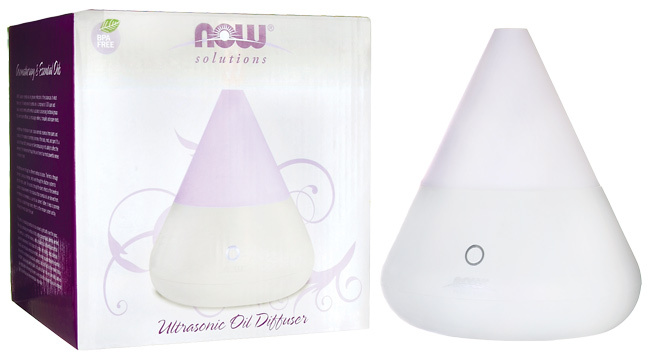 No sound is emitted through the use of this ultrasonic essential oil diffuser and it's base does not generate heat so is quiet and safe for surfaces. Add a small amount of water (nearly a dixie cup's worth) and your favorite essential oils and it will go for hours as the mist it releases is very fine. Automatic shut-off when all water has been used. Easy to care for.